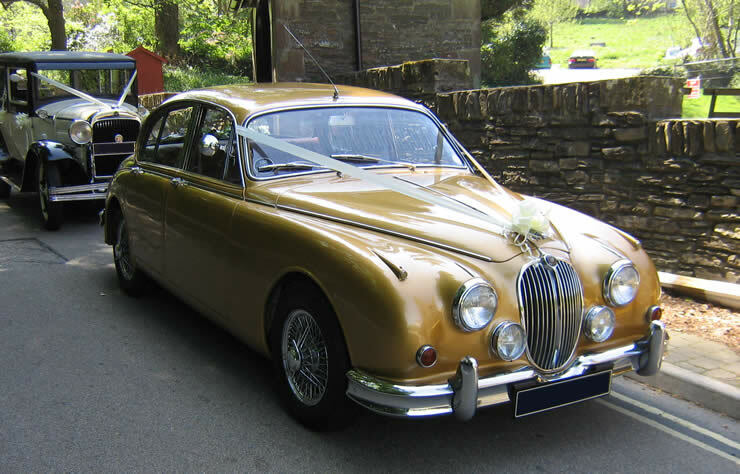 Platinum Cars, based on the Isle of Man, offer a wide range of unique vintage and classic cars for your special occasion. The cars are RTLC licensed. If you are looking for a beautiful car for your special event, look no further. Our website lists all our cars, and we can even suggest which cars go well together so your wedding convoy or prom night cavalcade can go off in style. 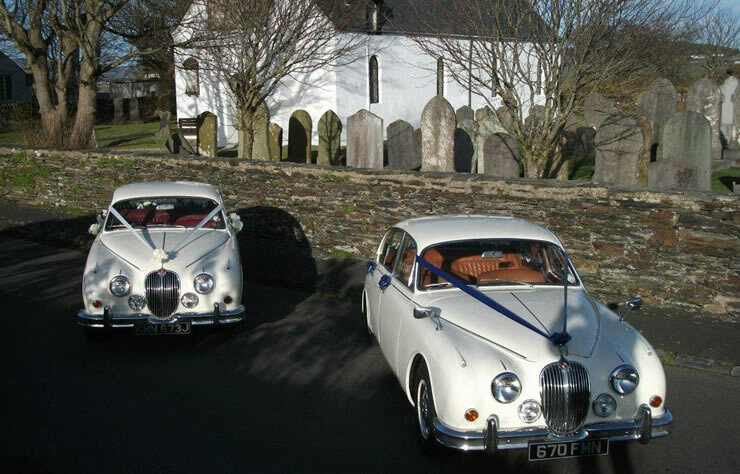 These Jaguar Mark 2s in Old English White make lovely main wedding cars individually... or pair them together for the perfect combination. Each one would also complement one of our other cars beautifully.